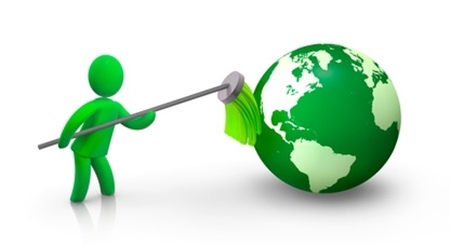 Jani-King of Omaha is a proud supporter of green cleaning. The benefits are clear for the environment, but did you know the benefits for your business? Beyond leaving a smaller environmental footprint as a commercial entity, you can create a healthy and more inviting space for your visitors and staff. Jani-King of Omaha has recognized the harm that can be caused by some traditional chemical cleaners and has aligned themselves with preferred dealers that offer green solutions. Traditional products have been proven to contribute to health problems such as eye, skin and respiratory irritation as well as asthma and other allergic reactions, which can lead to occupant complaints and hurt attendance and productivity. Clients now have the option to have a positive impact in every aspect of their business. If you are considering switching to green cleaning, or are looking for new ways to make a difference contact Jani-King of Omaha to find out how they can make the transition easy. Your site visitors and staff will thank you.